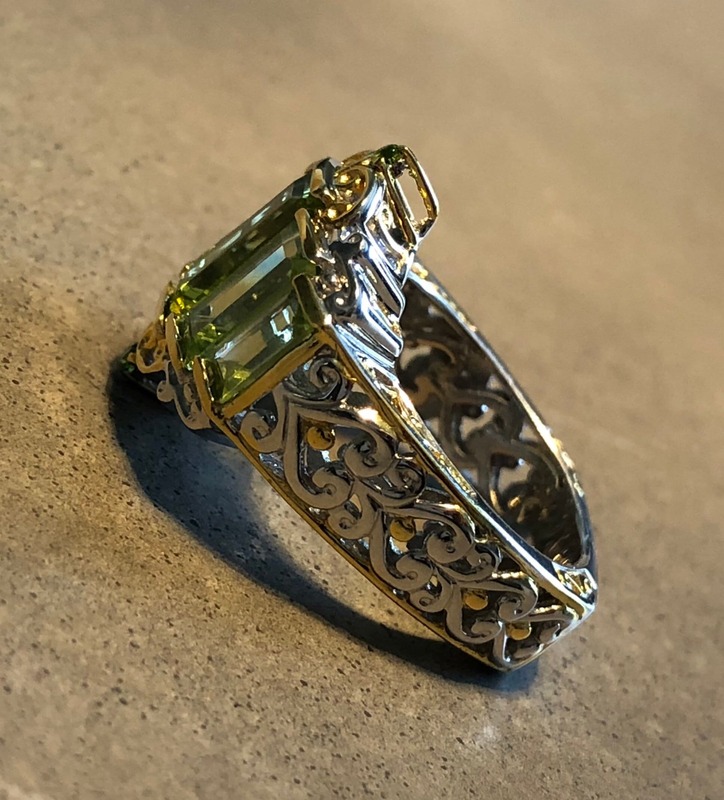 A regal beauty! 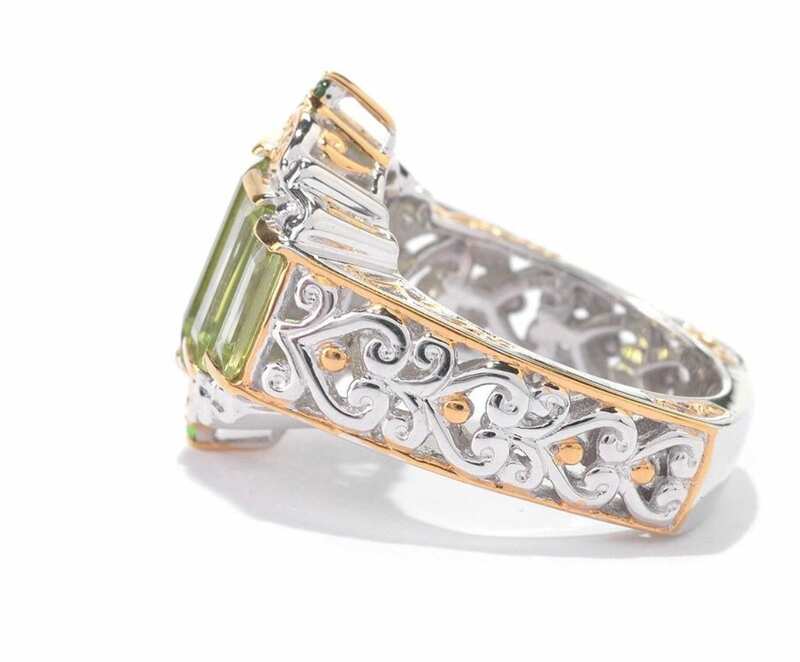 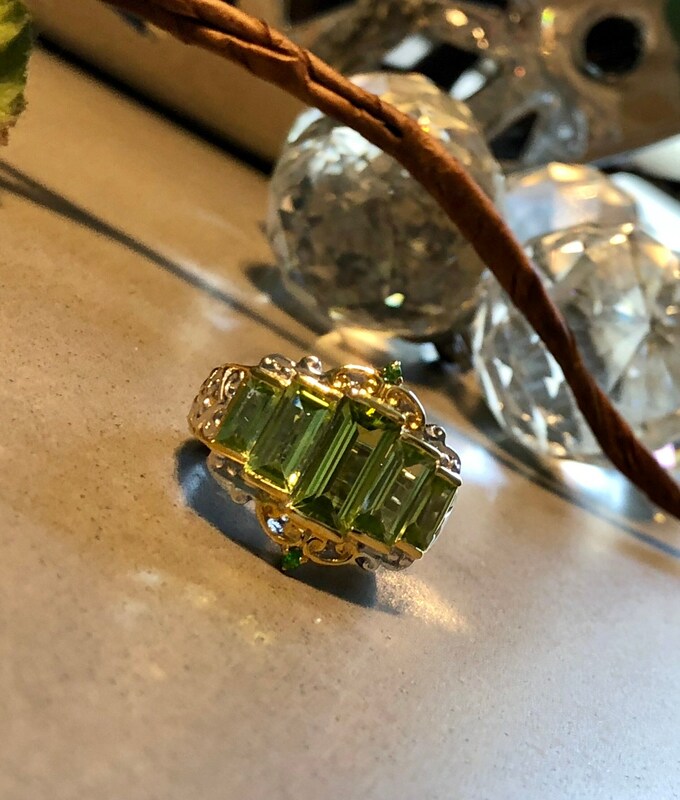 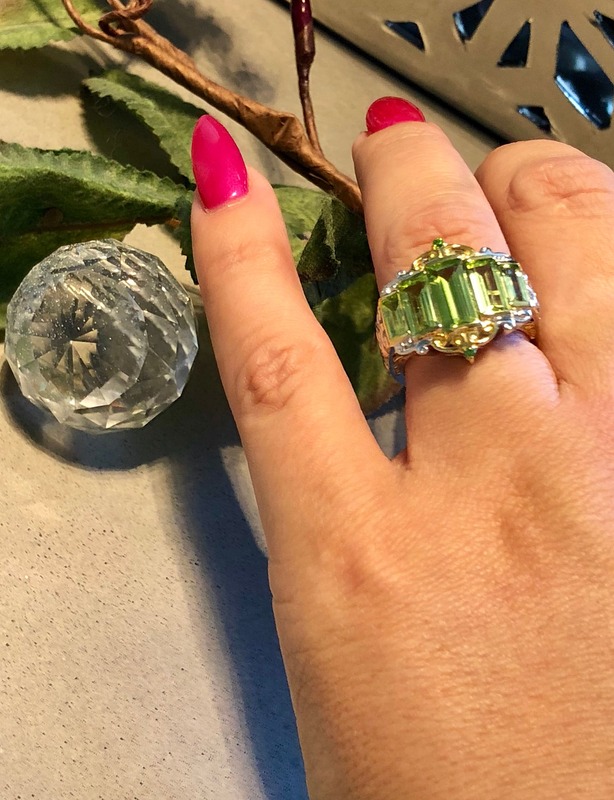 This ring displays an East to West row of dazzling baguette shaped green peridots. 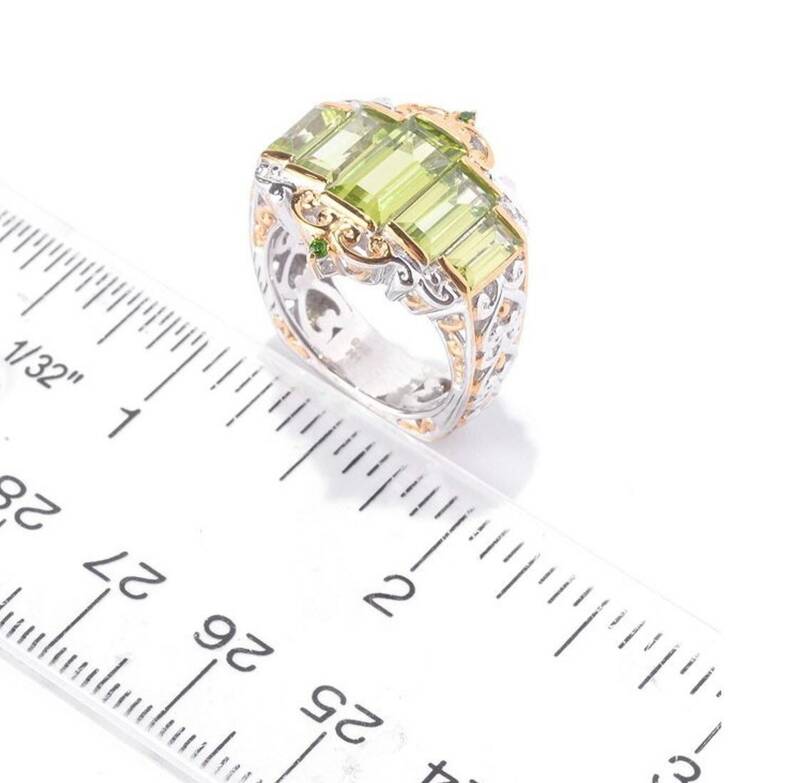 As they move away from center, the sizes gradually get smaller, creating a symmetrically pleasing look. 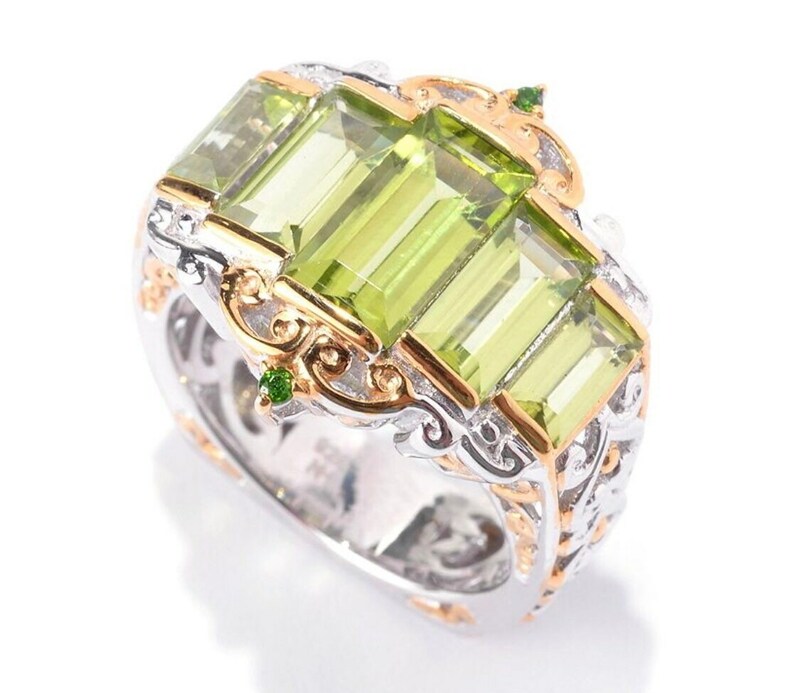 To the North and South are single sparkling green chrome diopsides. 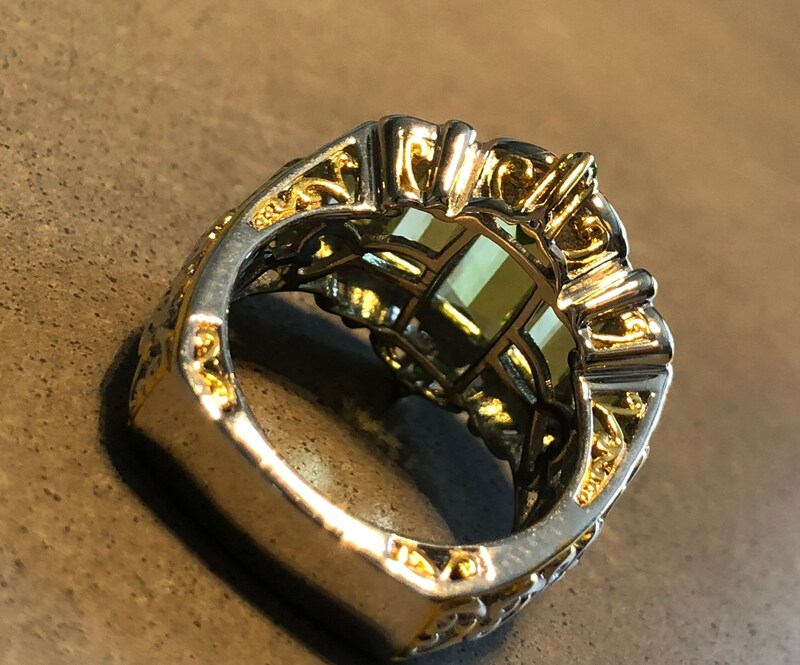 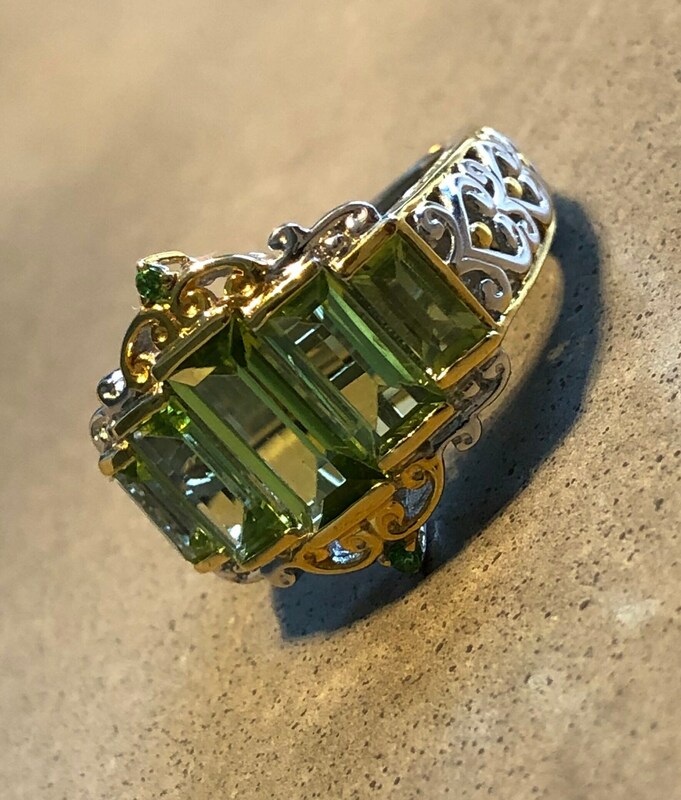 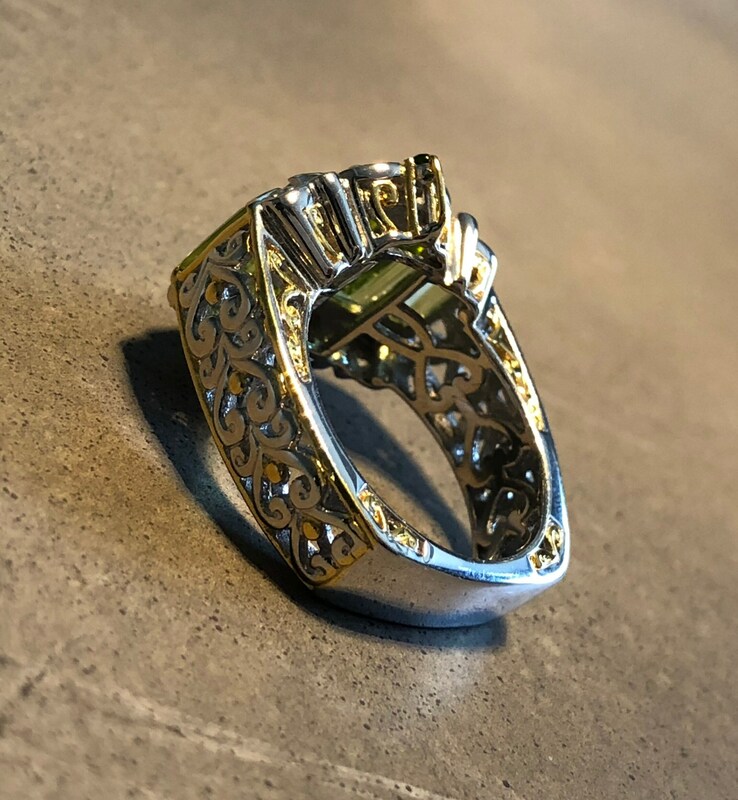 These chrome diopsides are set into beautiful, two-toned scrollwork that can be noticed throughout the Euro-shank and top edges. 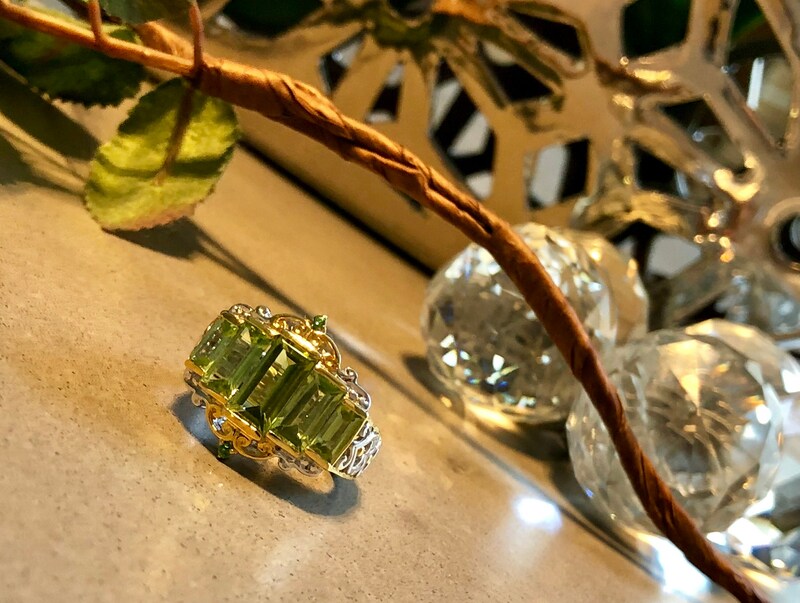 Simple elegance! 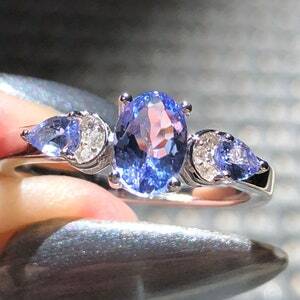 3 stone Oval And Pear Shape Tanzanite With Round White Zircon Sterling Silver Ring. 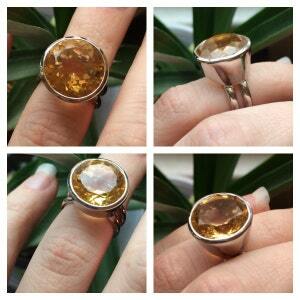 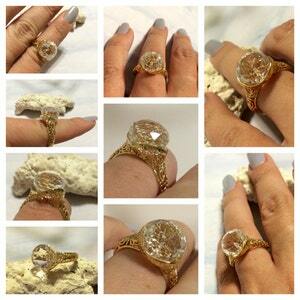 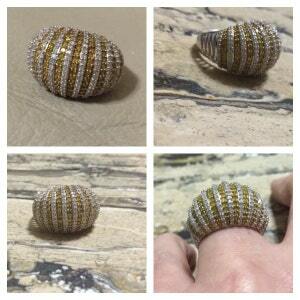 14K Gold 5.77ctw Crystal Quartz Filigree Ring.